Rebecca Ashford, Ed.D., will never forget what she witnessed on January 28, 1986 as a seventh-grader in Merritt Island, Florida. The U.S. space program was ingrained in the local culture – Ashford’s father was a NASA technician at the nearby Kennedy Space Center, and most of her friends’ dads worked there, too – so taking a break for each shuttle liftoff from Cape Canaveral was standard procedure at school. What’s best for state's im migrants, education or punishment? Carlos Reyes, a graduate of Murfreesboro Oakland High School’s Class of 2017, would be in his second semester at MTSU majoring in business administration – if he could afford it. Instead, because he’s among the thousands of undocumented immigrant students in Tennessee, he had to drop out because of the high cost of out-of-state tuition – more than $27,500 compared to in-state tuition of $8,948 – and go to work. As the Hon. Russell Bean stepped up to the podium in the Hamilton County Commission Room to deliver the memorial of James Gordon Petty to a panel of judges, he paused and looked over the dozens of people seated behind him. State fatality rate falling. Are Uber, Lyft the reason? It was a warm Tennessee night in April of 1992 when 23-year-old Larry Randle got into his maroon Ford Thunderbird – the first car he ever owned – and drove a few miles to a friend’s house in his hometown of Martin, Tennessee to have a few beers and watch a basketball game on TV. He left around midnight to drive home, and just as he was pulling up to a stoplight he saw flashes of blue in his rearview mirror. Charlie and Nathan Walldorf are now part of The Group’s family of Realtors. 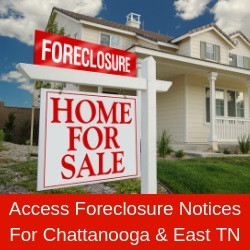 This shocker combines the oldest names in Chattanooga real estate with one of Chattanooga’s newest real estate firms. Charlie’s father and Nathan’s grandfather, Herman Walldorf, founded Herman Walldorf and Company in 1926. In 2011, Charlie and his brother, Rudy Walldorf, split the commercial and residential sides of their business into two separate firms: Herman Walldorf & Co. Realtors, Inc. and Herman Walldorf Commercial, Inc. Rudy will continue to operate the latter company. Keller Williams Greater Downtown Realty held its 2017 awards breakfast at the Chattanooga Convention and Trade Center on Feb. 27. The firm had to provide 61 more table settings than last year’s awards – one for each agent who joined the company in 2017. Milligan Reynolds Guaranty Title celebrated its 80th birthday on Thursday, March 1, marking a major milestone at Chattanooga’s second oldest title insurance agency. Located at 724 Cherry Street in the innovation district of Downtown Chattanooga, Milligan Reynolds was founded in 1938 by Dana Milligan, Sr. and Mark Senter as Milligan Senter Guaranty Title Company. Mercer Reynolds, Sr., acquired a majority interest two years later, leading to the name change. While viewing a house that’s for sale, buyers typically try to visualize the property as a place they can call home. However, they must often rely on their imagination to see how they would want to design the property and what that man cave in the basement could look like. What kind of lifestyle do you hope to have in retirement? Do you have a strategy to get there? If you don’t have confidence in your plan, it may be time to engage a financial professional. But how do you choose the one who’s right for you? There were no flimsy ribbons on hand at the 52nd annual Tri-State Home Show, hosted March 2-4 at the Chattanooga Convention and Trade Center by the Home Builders Association of Greater Chattanooga, so Chattanooga Mayor Andy Berke (holding saw in photo above) had to put a little elbow grease into the opening ceremony. County Mayor Jim Coppinger, left of Berke, and Commissioner Chester Bankston, right of Berke, stood nearby, serving as supervisors on the job site. Hamilton County Sherriff Jim Hammond says arming teachers is not his first, second or even third choice as a means of keeping Hamilton County’s students safe, but he must consider every option. Following the tragic events at Marjory Stoneman Douglas High School in Florida on Feb. 14, local law enforcement and educational officials have been re-evaluating the safety of Hamilton County’s students and how to address the possibility of violence in local public schools. Downtown Chattanooga produced more than $32 million dollars in property tax revenue in 2017. The figure increases to $44.5 million dollars when the NorthShore is included. The figures come from a newly released report commissioned by River City Company and prepared by Metro Ideas Project. Delta Air Lines will provide nonstop service from Chattanooga to New York-LaGuardia Airport beginning July 9, 2018. It’s not raining cats and dogs at the Humane Educational Society and McKamey Animal Center – it’s just raining dogs. Lots and lots of dogs. With spring fever hitting the Scenic City, the hiking trials in and around Chattanooga are starting to accommodate more feet. To encourage even more people to take advantage of the warmer weather and enjoy the open air, Outdoor Chattanooga in 2018 will host three introductory backpacking adventures on the Cumberland Trail. These hikes will take place March 10-11, April 14-15 and Nov. 10-11.